I recently attended a Religious Education Conference, through the Catholic Education Office of Melbourne. A few weeks prior to the conference, I met with a group of teachers to discuss teaching religion in the classroom. We were looking for ideas on how our resource could better support teachers. One of the key points made was, teachers would like parents to better understand how religion is delivered in the classroom. 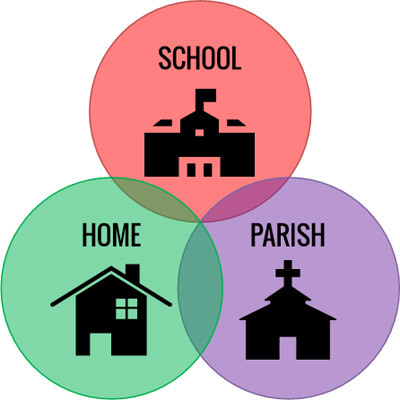 This discussion ended us specifically talking about sacramental programs and the large number of parents who have trouble making the decision whether to involve their children in school or parish run sacramental programs. When I saw that one of the workshops at the Melbourne conference was ‘how to create engaging sacramental programs for both students and parents’, I thought I would head along. It was no surprise when I learned the main message delivered in the workshop, that engaging sacramental programs must involve parents. It is important to note the parent’s critical role in their child’s faith development, alongside of the school and the parish. But how can parents be active in this role when they don’t truly understand the role of religious education in schools. 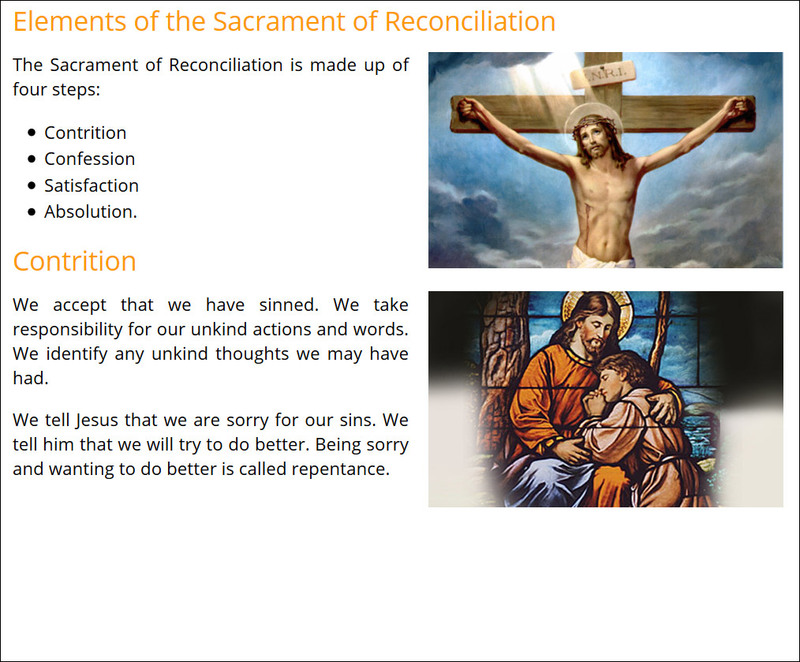 More specifically, how can parents better understand the meaning and importance of receiving the sacraments? 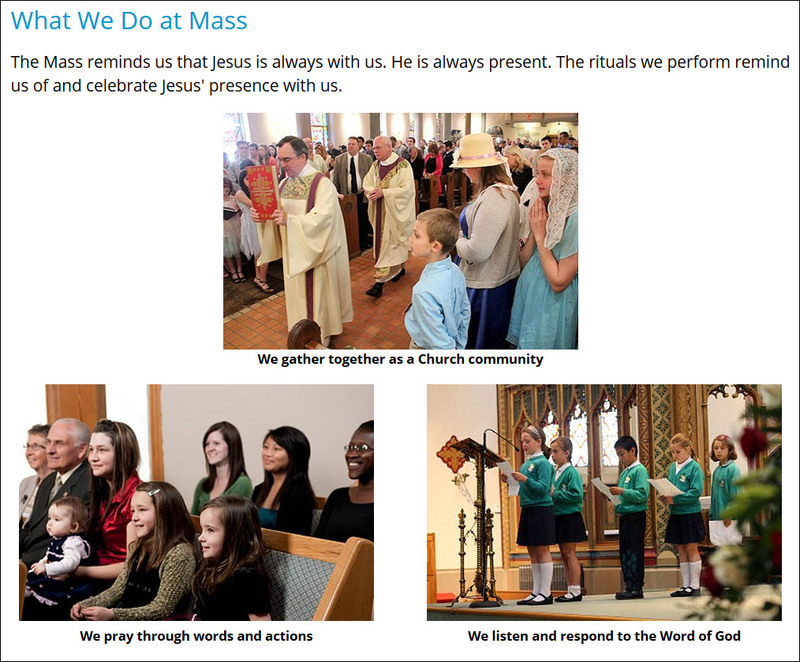 Whether a sacramental program is delivered through the school or the parish, it is imperative that parents are involved. 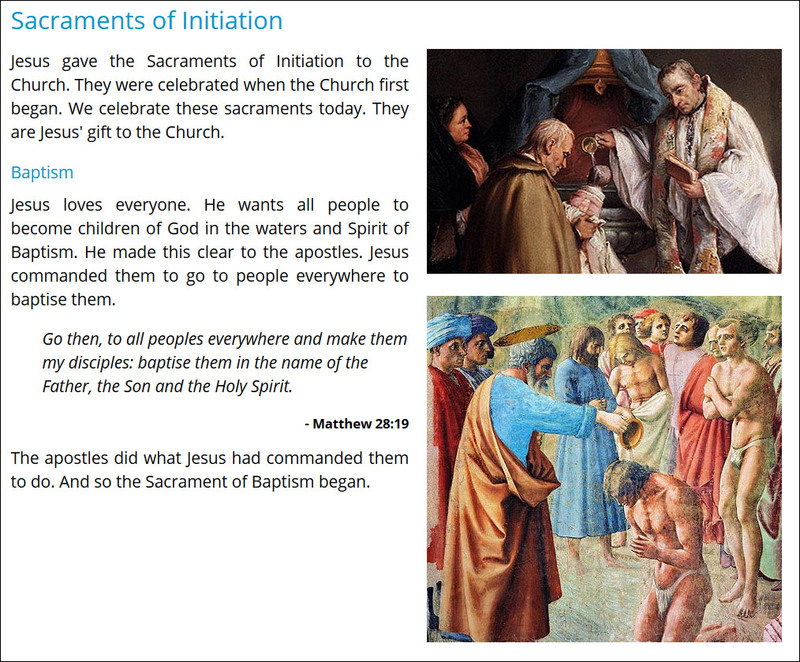 Any child who is eligible to participate in sacramental programs, must have already been baptised. Therefore, parents have clearly taken the first step in guiding their children on the path of faith development. And perhaps Baptism is the most well understood sacrament, or perhaps the sacrament least questioned. 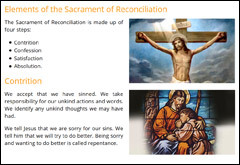 When it comes to Reconciliation, Confirmation and Eucharist, parents seem to hesitate. 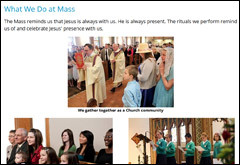 And at school during pick up, or in the school canteen where parents are volunteering, there are often discussions about whether or not they should sign their children up for these sacramental programs. Who else has signed up? What made you sign your child up? Most schools and parishes run parent information evenings in an effort to inform parents and answer their growing list of questions. But are these information evenings enough? And how do teachers organise these evenings to be as informative and as engaging as possible? 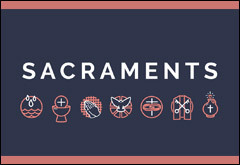 The Understanding Faith Primary Resource has every sacrament covered. Each title has been written so that it can effectively be delivered as a full sacramental program. The program can also be used to inform and educate parents. The text is written so that it can be understood by people with faith or no faith at all. Yet it is still informative for people who have been teaching sacramental programs for years. There are informative videos, engaging images and a wide variety of quizzes to test your knowledge. 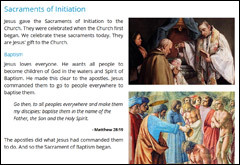 The resources can be used at school or at home, and using the resource as a tool to educate parents enables parents and their children to sit down and use it together, prompting discussions that can help both to grasp the full meaning of any sacramental program. If you are not currently subscribe to Understanding Faith, checkout a sample of what we offer below.